We started our journey at the Table Rock Centre, which is the landmark building next to the Falls. I like how the friendly staff at the Welcome Centre was able to help us plan the time and suggest which destinations to go first, the correct WEGO bus to take etc. to make our day go by smooth. The Welcome Centre staff makes the timed-ticket reservations, so we don't have to stay in line. With this ticketed time we can bypass the regular lineup and go to the priority access entrance by following the signs. Access to using the WEGO bus was really useful, so we didn't have to take the car from the parking lot and look for a spot or walk far. With this pass we can use the WEGO bus for two days and hop-on and off to get to all the different attractions as well as hotels. The buses are fully accessible and include bike racks. The first attraction we checked out was the Journey Behind the Falls, which is celebrating its 125th anniversary this year. This attraction accessible through the Table Rock Welcome Centre is one of Niagara’s oldest attractions, and is a must-see fun adventure. Being close to the falls, and watching the water pour through the Cataract Portal and Great Falls Portal is a lot of fun and exciting not only for children, but also for adults. The upper and lower observation decks at the foot of the Falls allow for wonderful photo opportunities. When my children went on their Journey Behind the Falls, they were awed by how close they were to the falls and enjoyed walking through the rock tunnels. It was also fun to see the water gushing through the two portals. This reminded me of the first time I went as a child and how exciting it was to see the water gushing down. We enjoyed going through the tunnel and learning about a variety of facts such as the visits from famous people, if anyone has ever fallen and more. Next, we went to see what Niagara's Fury is all about. Pictures are not allowed inside this attraction. When we went in we didn't know what to expect or what to do. There were about 45 people and everyone was given a raincoat, some sat on the ground and benches while most of us stood to watch a 10 minutes animated film about a beaver named Chip learning about how Niagara Falls formed. Although it was fun to learn, due to standing around, looking up, and not knowing when the movie was going to end was a bit of a down side, until the doors opened up after the movie, and we all went through the doors. Once we went in we held on to short poles that come up to the height of an adults waist. I like that we were spread out standing instead of being squished up. My husband and I decided to be right behind each of our children since we didn't know what to expect. I told my children it is just like 4D movie and that the effects are not real, so they did not get scared when it became dark and when there were lightning effects. When the film started playing in a 360 degree screen theatre with water, sound and motion effects for about 5 minutes, it was fun for everyone in the family. Niagara's Fury is an attraction that will teach us how the Niagara's Great Gorge was formed, and attempts to make us feel as though we were there. After experiencing the Niagara's Fury, we took the WEGO bus to the White Water Walk attraction that was established in 1876. This beautiful boardwalk allows us to walk and see Niagara River's Class six rapids. Being down 230 feet to the brink of the rapids allows us to see the water from four Great Lakes crash over the Falls and then go through the narrowest point to the Niagara River. It was fun to see the waves and take pictures. These waves are known to be ferocious and is some of the most dangerous class 6 rapids in the world. We then went to the final attraction on our Classic Niagara Falls Adventure Pass, The Hornblower Niagara Cruise. The cruise offers a memorable and magnificent experience of the power of the falls, its water and the mist. This attraction is sure to be enjoyed by everyone in the family. The boat tours departure every 15 minutes throughout the day, which is awesome so we don't have to be in line for a long time. The 360 degree view catamaran boat hold 700 passengers, and is an adventurous and comfortable way to get close to the Falls and be thrilled when the wind blows and we get showered by the Falls. We do get a biodegradable poncho before we enter the boat, so our clothes are protected from getting wet. While we were at Niagara Falls, we also took the WEGO bus and checked out The Whirlpool Aero Car. The Whirlpool Aero Car is a unique antique cable car that has been transporting visitors high above the Whirlpool since 1916. The basket like car rides smoothly, and is suspended high above the turbulent Niagara Whirlpool with six sturdy cables. This smooth ride is a must experience fun that everyone in the family will enjoy, even those scared of heights. If you visit Niagara Falls on Friday, Sunday and holidays until November 30 then wait and watch the Falls Fireworks and Coca Cola Concert Series that will start at 10 p.m. They also have fireworks on Wednesday nights from June 18 to August 27. There is more details regards to these on the Niagara Parks site. There are lots of places to dine within the area. 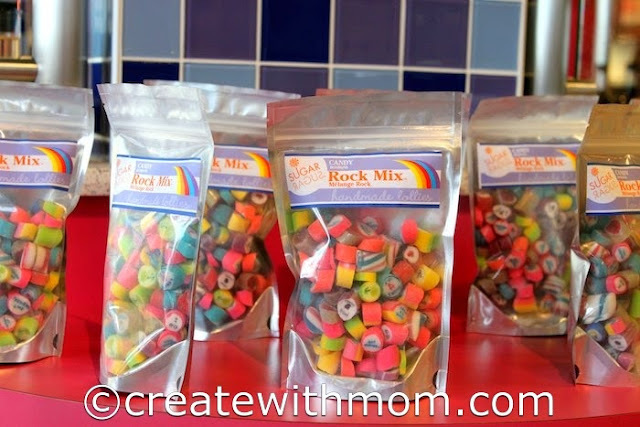 When you are at the Table Rock Welcome Centre and waiting for your time to go to the attractions go by the Pop and Lolly's Candy Shop to see how they make hand crafted, delicious custom lollipop bouquets and unique candies. These sweets will be enjoyed by everyone in the family and also makes wonderful souvenirs to give to friends and family. 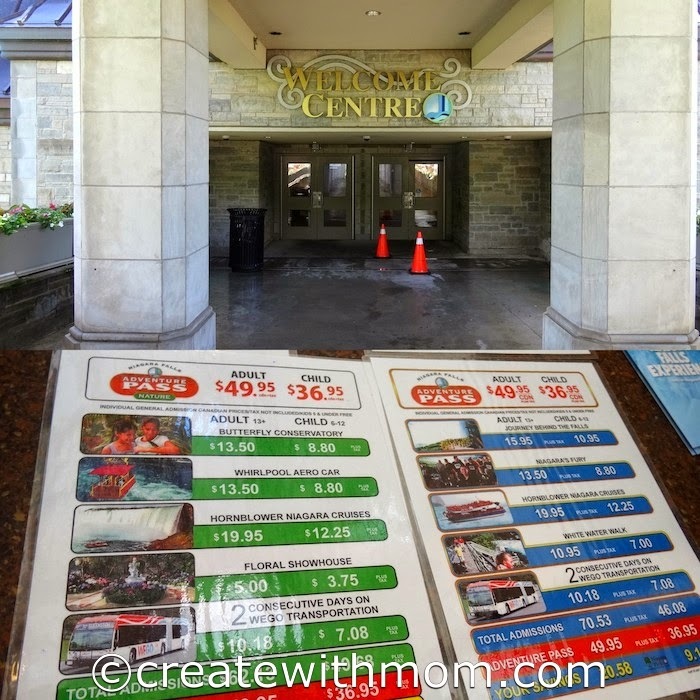 It is so much better to use the Niagara Falls Adventure Pass instead of purchasing tickets to each attraction, as it not only saves 30% of our money, but also allows us to experience much more adventures and fills the day with excitement. have never been there and would like to go; you've given lots of info and it sounds like something hubby and I would enjoy. Wow! It looks like it was a lot of fun. We will definitely have to visit there when we head out east. We should definitely invest in that pass! We have been to Niagara many times but have yet to explore many of those attractions. I live about 45 minutes from Niagara Falls and have visited there many times. I never knew this pass existed will have to look into it the next time we are down. I've been to Niagara Falls hundreds of times, yet still haven't experienced The Journey Behind the Falls. After seeing your terrific pics, we will definitely check it out on our next Niagara trip, thanks! I really enjoyed myself when I did the Journey Behind the Falls, quite the experience! !